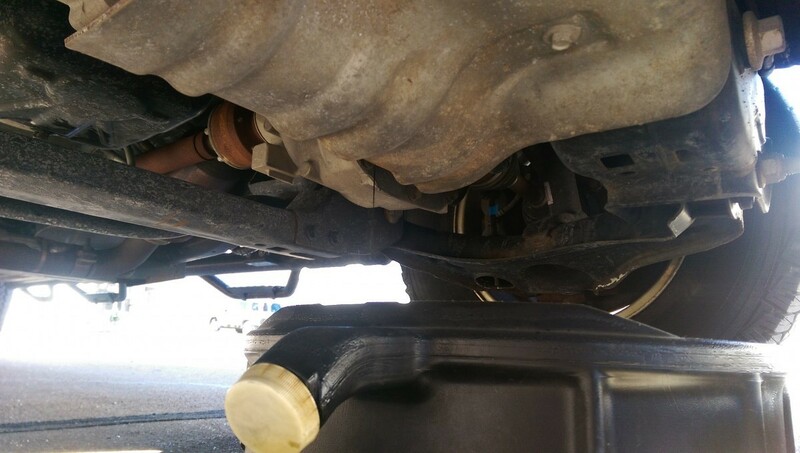 I’m going to address the infamous F150 Coyote Oil Change issue with regards to the drip pan underneath the oil filter. The drip pan is too shallow and will generally drip oil out the back rather than running out the spout like it should. I took 2 pictures to show where it drips. These days I try to pull the back tires onto a pair of boards to tip the truck forward, but, if you’re in a pinch, you can throw a second catch pan underneath to catch the oil that runs out the back. 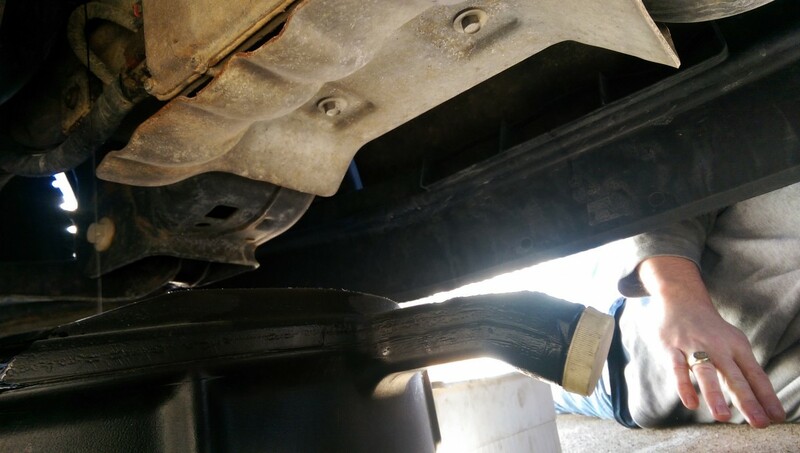 Look carefully at the pictures below and you’ll see the small trickle of oil dripping just behind the skid plate.